It’s a book! And a Virtual Book Launch! 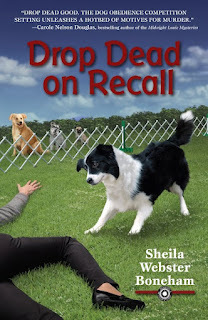 Drop Dead on Recall is now available in print and ebook formats - yay! But before you rush to order it (you were about to do that, right? ), there's more to tell. Remember several months ago when I teamed up with LABMED and Canine Health Events to raffle off guest roles for two dogs in the sequel to Drop Dead on Recall? The groups raised a combined $2,200! The LABMED money was used to help with extraordinary expenses for a rescued Labrador Retriever with medical problems, and the CHE money went to support canine health research (which, by the way, often lends its answers to human medicine). Check out the winners of the raffles! Lennen, shown here with his adopted person Diana Holman, won the LABMED raffle. Lennen spend a little time in Labrador Retriever rescue before he found Diana, but now he's where he's supposed to be, as you can see. He plays...oh wait! It's a secret! So let me just say that Lennen's namesake has a great part to play in the sequel to Drop Dead on Recall. Have you ever seen a better smile? Pilot must have been pleased to win the Canine Health Events (CHE) raffle for a role in the second Animals in Focus mystery. Pilot, who takes his owner/trainer/handler to all manner of athletic events, is quite the accomplished fellow - Master Agility Champion three times over, obedience Companion Dog Excellent, Junior Hunter, Member of the Golden Retriever Agility Dog Hall of Fame, and more! And now he can add "mystery novel character" to this long list of titles and honors! So, as we launch Drop Dead on Recall, I have once again joined forces with two groups of dog-lovers to encourage readers to Drop Dead for Healthy Dogs. 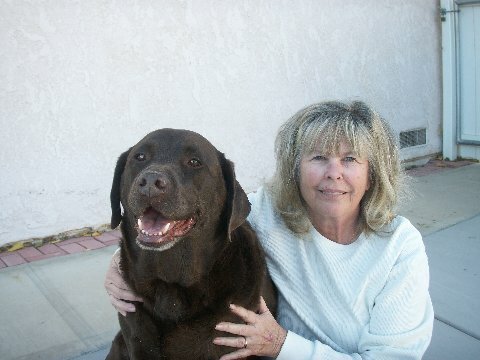 First, Gayle Watkins and the other volunteers for Canine Health Events were fabulous to work with the first time around, and when they expressed interest in trying another project together, I was on it like a hungry dog on a dropped cookie. CHE’s work is not focused on any single breed, so any dog, purebred or mixed, may benefit from the research they support. Second, as many of my readers know, I have been involved with Australian Shepherds for almost two decades as owner, competitor, breeder, rescuer, and most recently judge. The "protagdog" in Drop Dead on Recall is an Aussie named Jay, after my own Jay. The Australian Shepherd Health and Genetics Foundation seemed a natural choice for a second group this time around, so I approached ASHGI founder C.A. Sharp and found a warm reception from her and her board of directors. Then I contacted Kathleen Jewel, owner of Pomegranate Books, a fabulous Indie bookstore here in Wilmington, North Carolina. I ran my idea past her and she seemed almost as excited as I was about it, so Pomegranate is the official vendor for Drop Dead for Healthy Dogs. The store is handling the "virtual" part of the event, meaning online or telephone orders, and hosting a real live launch party on October 11 at 7 p.m. Come if you can! I love this idea, if I do say so myself. As a working author, of course I want my book to sell well it is off to a nice start - woot!). But I also love cooperative projects where everyone wins, and I think that’s what we have created. Readers, I hope. Drop Dead on Recall was fun to write, and I hope it’s fun to read as well. We are also offering Rescue Matters! 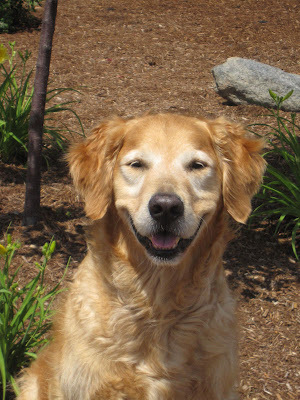 How to Find, Foster, and Rehome Companion Animals in this event. Holiday shoppers! Hey, it’s almost the season! Autographed books make terrific gifts, and I will be autographing for the buyers’ autographee of choice. How cool is that? Dogs! The research projects and other work that ASHGI and CHE support are aimed at helping our dogs live longer, healthier lives. All dog lovers want that. And the fact is that medical knowledge transcends species, so what researchers learn in their work with dogs may help our cats, our horses, and us. Local, independent business, specifically Pomegranate Books, which is a valuable resource for this community, as are Indies everywhere. One last thing....please share the link to this blog or to Drop Dead for Healthy Dogs with your friends, and ask them to share. Here's to healthy happy dogs and dog owners! Oh, THERE you are! :-) Nice to hear from you, Jennifer - look forward to seeing you. Thanks for popping in.